ChargeIt by Jay Reflex Gold Glass Charger Plate 13"
Home > Products > ChargeIt by Jay Reflex Gold Glass Charger Plate 13"
Use the ChargeIt by Jay Reflex Gold Glass Charger Plate 13" to add ultimate elegance to your upscale table setting. 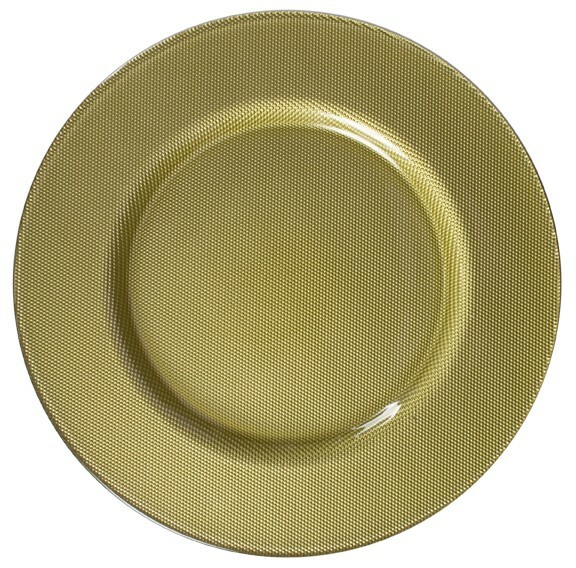 Boasting a muted gold hue, this charger plate is a beautiful piece for presenting soups, salads, and entrees. Thanks to its premium quality glass construction, this charger plate looks rich and sleek under an array of different dinner plate styles while providing unbeatable durability and longevity.